Pastor Bermie serves as pastor for Grace Life, a congregation of Grace Communion International. 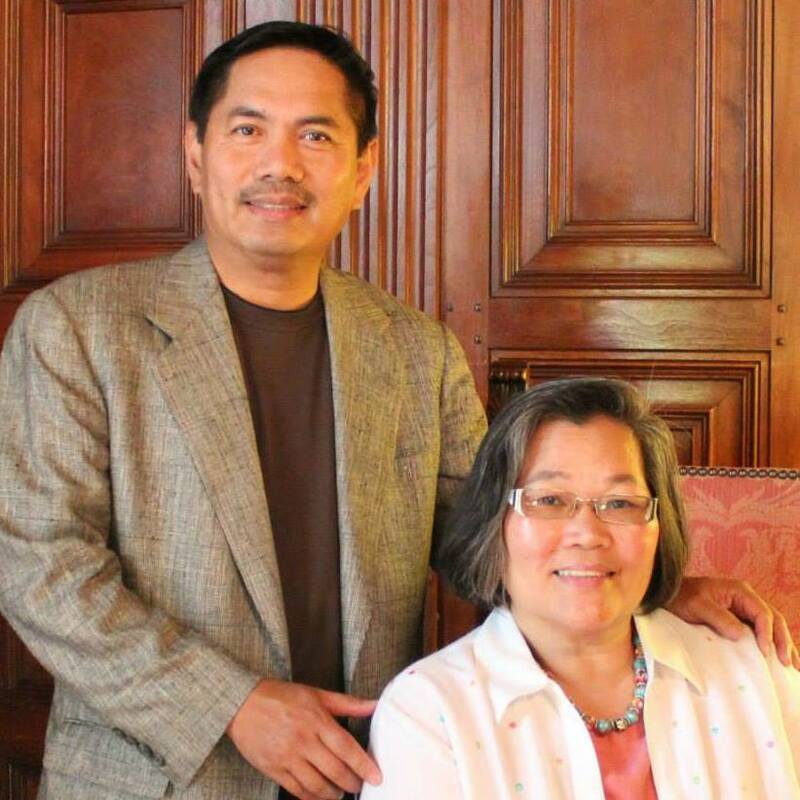 Bermie and his wife, Carmelita (Millet), served as pastor for twelve years in the Philippines. They pastored churches in Central Luzon and Mindanao, Philippines (1984-1996). They also served for twelve years as directors in the Philippine Summer Education Program camps. In October 1996, he and his family were transferred to the USA to pastor. Bermie now serves as full-time pastor for Grace Life, a congregation of Grace Communion International in Glendora, CA. He is also a member of the American Association of Christian Counselors. Bermie also served the GCI Los Angeles congregation from March 4, 2000 to November 3, 2018. Bermie and Millet have four grown children. The oldest, Ben (married to Cassie), finished his B.S. in Psychobiology at UCLA and is now working in the DC area. The second eldest, Carmel, RN (Registered Nurse) works in a hospital in Colorado. She lives with her husband Matt and two young children (Mia and Urijah) in Colorado. The third child, Abel, PhD in Civil Engineering works as a structural engineer in Orange County. He is married to Gelli. Their son Eli Gavin is 3 years old. The youngest, David, works as Aerospace Engineer in Lancaster, CA. He serves as part of the worship team for both Grace Life. David also ministers to residents at the Eisenhower Convalescent hospital every Sunday morning playing on the piano and offering up prayers for the elderly. Bermie finished his Masters degree (M.A. in Christian Education) at Azusa Pacific Seminary and received his B.A. in Theology degree in Pasadena, CA. His wife earned her Bachelor of Science degree in Chemistry in the Philippines and her Theology degree with her husband in Pasadena. She works as a visiting Wound Treatment Nurse. Pastor Bermie can be contacted at (626) 590-4985 (cell). My life’s calling is to constantly trust and exalt our Lord Jesus Christ, and by the grace and power of God, to fully become all that God has created and saved me for (Phil. 3:12-14). I will do everything I can to maximize the gifts I have been given in an effort to give God all the glory and make a difference for his Kingdom. All these are an outcome of my deep love for God who loves me unconditionally in the first place. I will be in constant contact with our Lord Almighty through the Holy Spirit to receive wisdom, courage, and strength. I will devote quality time to my wife, Carmelita, in an effort to love her, share my life with her, and be a friend and encourager for her as she uses her unique gifts, abilities, and interests in serving God. I will devote my time, treasure, talent, and emotions to my four children, Ben (with wife Cassie), Carmel (with husband Matt and children), Abel (with wife Gelli and their child), and David so that they may all be nourished spiritually and will continue to love Jesus Christ as their Lord and Savior. I will treat every person I relate with exactly as I would like to be treated and do all in my power, with God’s help, to make them feel valued and loved as individuals of genuine worth. I will share God’s love to all, without discrimination, by sharing to them the greatest gift that God is offering them (salvation through Christ). I will love my family by taking care of this physical body God gave me. I will look up to Jesus as my model teacher and pastor. I desire to live his life (Galatians 2:20) as I do the work (as a husband, daddy, pastor, brother, and friend) God has given me. I will continue my involvement in serving our community, especially the poor and the homeless.